Markata means monkey and asana means posture, it is a posture of monkey. This asana is good for kidneys, liver, spleen and many other ailments. 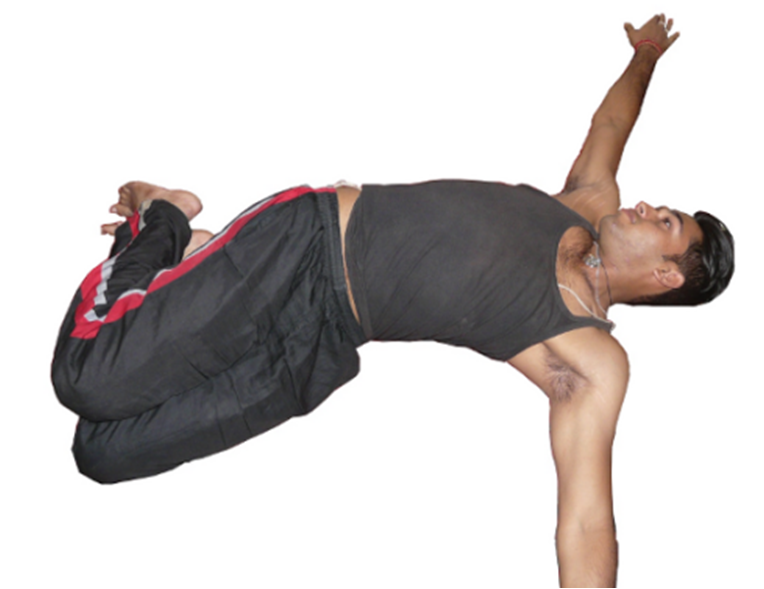 Practice this asana carefully to get all benefitsFor attempting markatasana, lie on your back. Join toes and heels together. Bend knees and place your heels close to buttocks. Both the feet are resting on the ground. Place left hand under your head and right hand under the left hand. Join your knees together, both the feet together (toes and heels together) for entire duration of this asana. Lie down on the mat. and spread the arms so that they are perpendicular to the body. Bring the feet near the hips. Inhale and with exhalation turn the knees to your left touching the left knee to the mat. Turn the face towards right side. You will face a slight stretch in the lower back region. For more stretching you can bring the knees upwards towards the left arm. Stay in this pose for 15 seconds to 30 seconds. Now switch sides and stretch in opposite direction. This exercise is especially useful for backache, cervical, sodalities, slip disc, sciatica. It cures stomach ache, dysentery, constipation, gas and makes the stomach light. This is beneficial for the hip, joints pain. It cures all the deformities of the spine.